Joining us for this Thursday’s Bakehouse Studios secret rehearsal is Jade Imagine. Jade Imagine is a four-piece from Melbourne, Australia led by frontwoman Jade McInally. 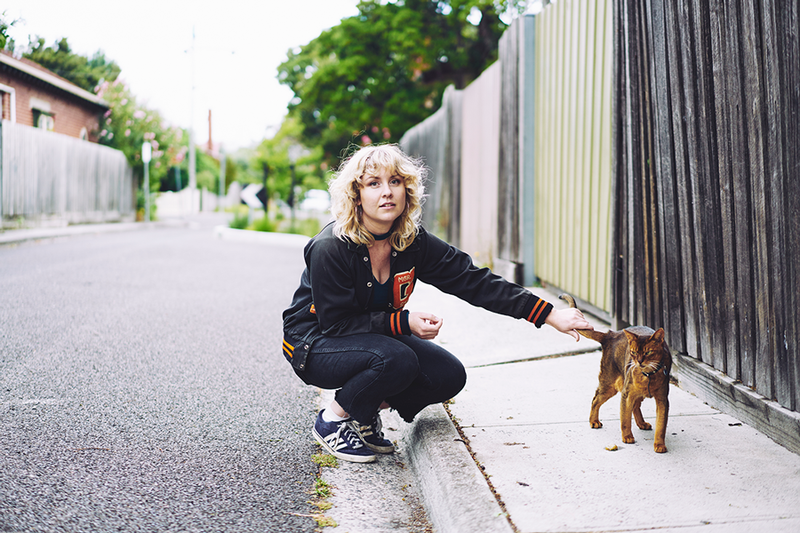 McInally has been a stalwart of the Melbourne indie scene since circa 2004, cutting her teeth with her own electro project Tantrums, then fleshing out other Melbourne scene favourites like Jess Cornelius’ Teeth and Tongue and in Jess Ribeiro’s band. After a spot of bedroom recording in 2016, McInally sent a selection of demos to Dave Mudie (drummer of Courtney Barnett). Mudie not only gave them the thumbs up, but he also took the liberty of laying down some drums and steered pre-production. Buoyed by the outcome, McInally set about acquiring her band members, Pied-Piper style. The fluid line-up revolves around Liam ‘Snowy’ Halliwell (The Ocean Party, Ciggie Witch) on bass, producer/guitarist Tim Harvey (Emma Louise, Real Feelings), and James Harvey (Teeth and Tongue) on drums. Jade Imagine’s debut EP ‘What the F*ck was I Thinking’ came out on Milk! Records in April 2017. The EP’s first two singles ‘Stay Awake’ and ‘Walking’ Around’ have earned big props: Rolling Stone Australia pegged the lo-fi gem ‘Stay Awake’ as a “shimmering summer-invite track” putting us right back in mind of surf, sun, and sky. Come along to MPavilion this Thursday evening between 6–8pm for a very special secret rehearsal!